V-Block and 5C collet in one spin fixture. 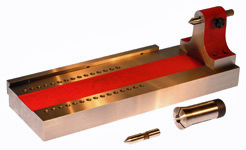 Built in 2-1/2" sine bar for setting angles between hard index locations. 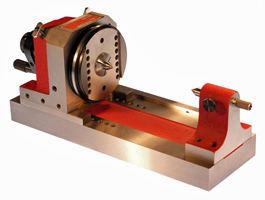 Spindle runs in two heavy duty 4" diameter tapered roller bearings. 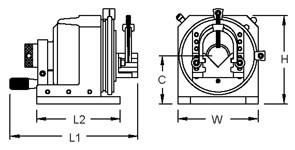 Maximum spindle runout of 0.00005". Covered by design patent D327077. 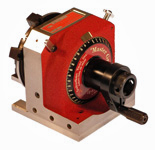 Tailstock has 1/2" diameter x 60°, spring-loaded center with locking screw. Baseplate and edge guide are hardened and ground. 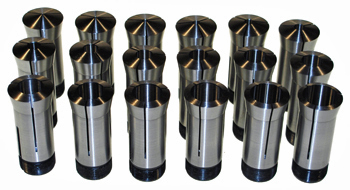 1/2" 5C collet and 60° headstock center included. 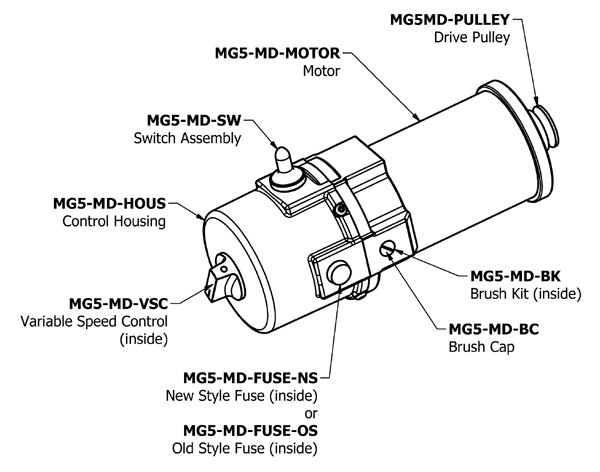 Note: Factory fitting of the MG5-CV-S1 to the MG5-BTS is required. 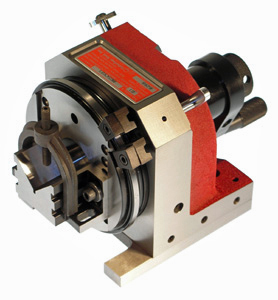 This is included at no charge, even when the Baseplate & Tailstock is purchased separately from the Index Fixture. 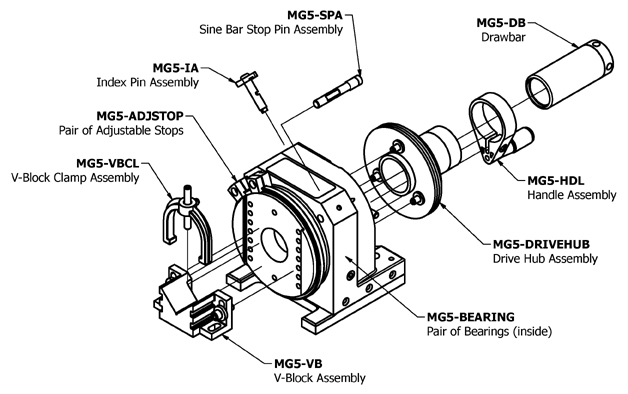 The MG-5CV-S1 index fixture is already pre-fitted to the MG5-BTS. Saves the hassle of sending your index fixture back later for fitting to the baseplate & tailstock. You save 5% off the combined individual prices.